This article describes two branches of biologically inspired approaches to networks; biologically inspired computer networks and biologically inspired nanoscale biological networks. The first branch, biologically inspired computer networks, applies techniques and algorithms from biological systems to design computer networks. The second branch, biologically inspired nanoscale biological networks, applies techniques and algorithms from biological systems to design nanoscale biological networks. 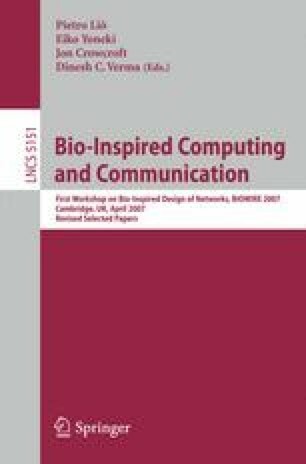 This paper describes these two branches of approaches proposed by the authors of this paper; biologically inspired computer networks (i.e., the Bio-Networking Architecture) and biologically inspired nanoscale biological networks (i.e., the Molecular Communication).